Born in Boulder, Colo. as a simple, comfortable boat shoe, today Crocs™ footwear can be found across the globe and in more than 120 styles for men, women and children. With distinct collections, Crocs offers colorful, lightweight comfort for any occasion and every season. All Crocs™ shoes are uniquely designed and manufactured using the company’s proprietary closed-cell resin, Croslite™, a technology that gives each pair of shoes the soft, comfortable, lightweight, non-marking and odor-resistant qualities that Crocs wearers know and love. Crocs™ footwear is ideal for casual wear, as well as for professional use and recreational activities. In its founding year, 2002, Crocs™ introduced an innovative shoe made of a revolutionary material called Croslite™. Croslite™ technology held unique characteristics that allowed it to perform on both land and in water, characteristics new to the footwear industry. The company was given the name Crocs™ after the multi-environment, amphibious nature of Crocodiles. Building momentum with a shoe unlike any other, Crocs™ provided consumers with innovative, fun and comfortable footwear that could be worn for a variety of lifestyle occasions. The Crocs™ brand name started to build a feel-good physical and emotional experience with a life of its own. Crocs™ has quickly evolved to cross-cultural boundaries and now leads a global consumer movement of over 100 million pairs of shoes sold to date. What separates Crocs™ from ordinary shoes? Radical thinking, industry-leading innovation, meticulous health-minded research, and never forgetting who we ultimately answer to: Feet. Whether it’s with color, clever design, or in the way we get our message out, Crocs™ always strives for smiles in an effort to elicit a feel-good emotional experience. Our bread and butter, profound comfort is all about a feel-good physical experience. Innovations like advanced ergonomic design, über lightweight technology, and a massaging foot bed all make sure you’re comfortable from toe to head, and vice versa. 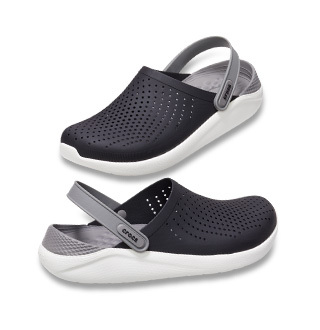 Utilitarian design with versatile function helps Crocs™ stand out. In a world full of bells and whistles, less is more. Jibbitz makes unique, colorful products for kids to personalize their Crocs shoes and accessory items. All over the world, millions of kids have been using Jibbitz charms to personalize their Crocs shoes with our unique designs, entertainment and sports licenses, and new 3-D styles. Now, Jibbitz charms can be used with wristbands, purses, cell phone cases, beach bags, and backpacks, to personalize those items as well – every item is designed to show off your favorite charms! 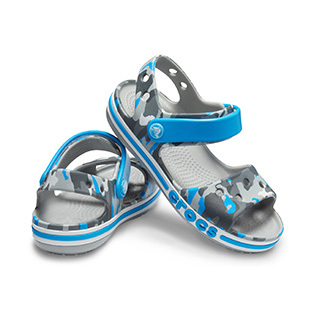 Our accessory items are designed to compliment your favorite Crocs shoes – everything from the new Crocband styles to the best-selling Mammoth clogs for those cold winter months – so you can show your style with almost every kids Crocs shoe we sell. Check out our latest styles and accessories as well as our new online Outlet store and see what’s new from Jibbitz!